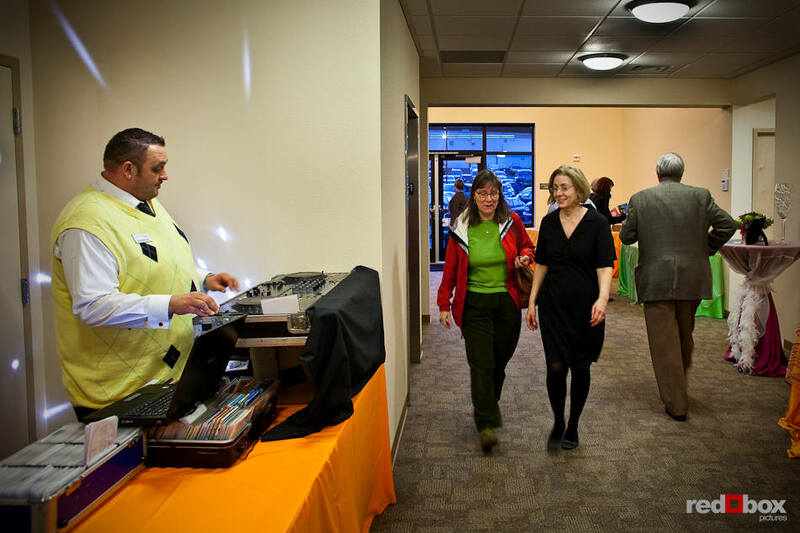 The Seattle Scottish Rite Masonic Center in Shoreline was introduced recently as a venue for weddings with an open house hosted by Lynn Havens of Intimate Affair Catering and Event Planning. 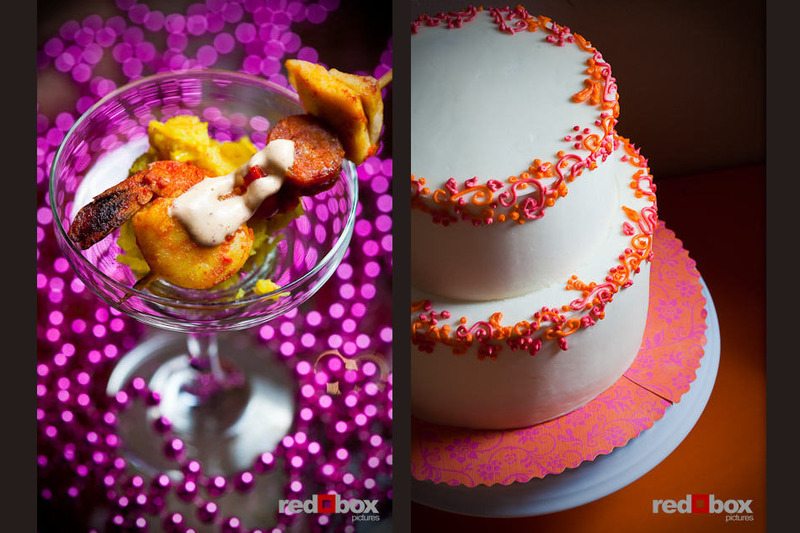 Red Box Pictures was the featured photographer for the terrific event, and were joined by many of Seattle’s finest caterers and wedding vendors. 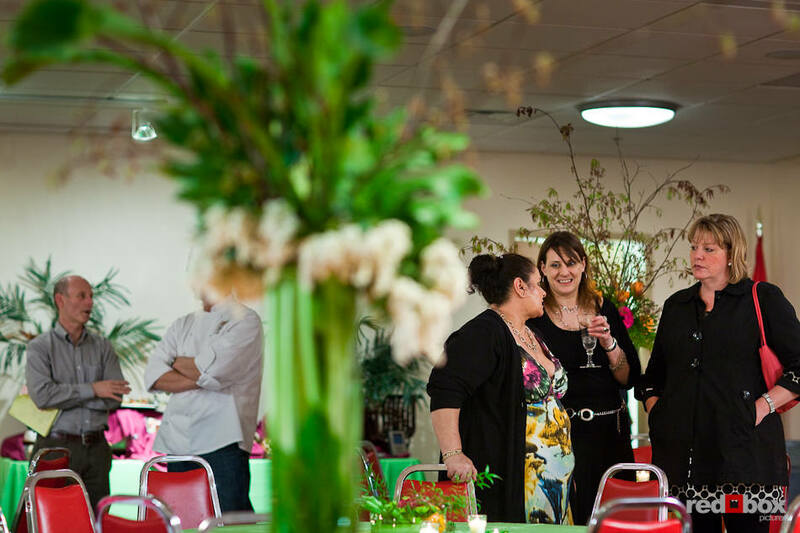 There was a lot of great food served, beautiful floral arrangements, decor and terrific music. The other talented vendors present included Foodz Catering, A Grand Affaire Catering, Bella Cupcake Couture, Elegant Gourmet Catering, Morfey’s Cakes, Cakes by Creme de la Creme, Esprit de Fleur, Wavelink Music, LaVassar Florists, Pyramid Catering, Seattle Catering, The Upper Crust Catering, Casper’s, A Taste of the South, Amato Catering, Abby Party Rentals, Linens By Alice, Ballard Blossom and Sugar Rush Baking Company. 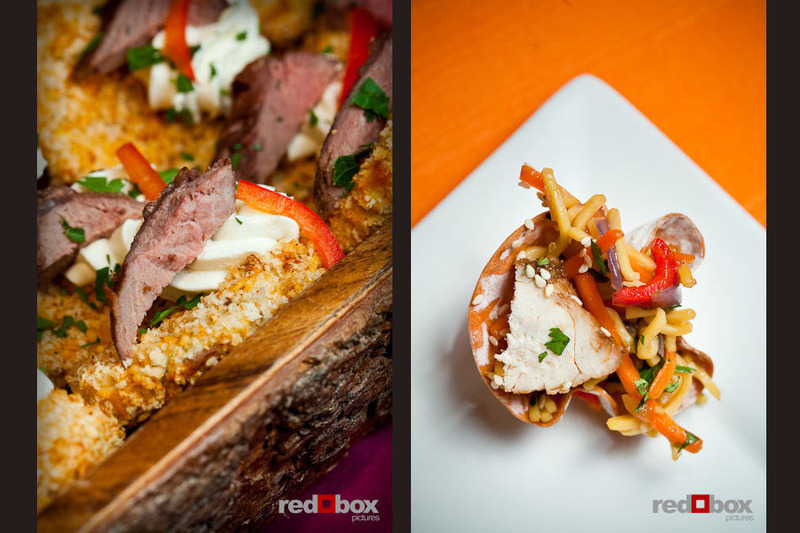 Paella with skewered prawns, chicken and sausage topped with chipotle crema by A Grand Affaire Catering (left) with the cake by Sugar Rush Baking Company. 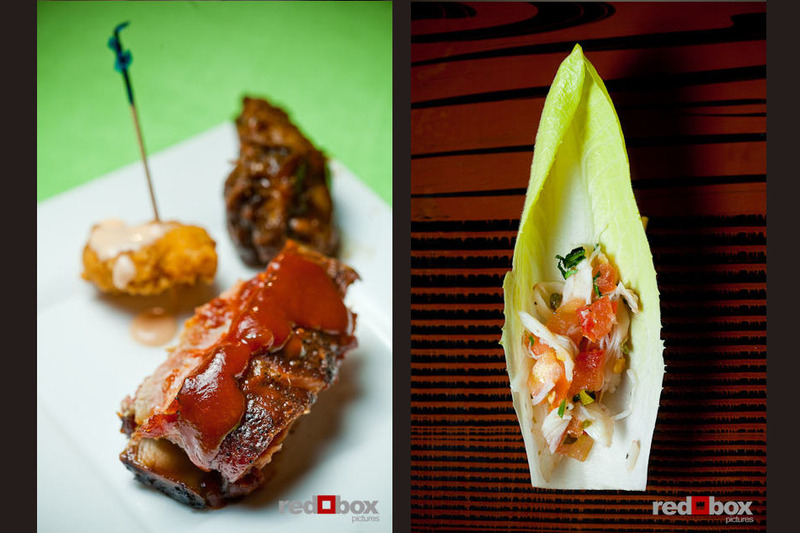 Ribs, alligator and chicken by Casper's, Taste of the South (left) as well as bites by Amato Catering. 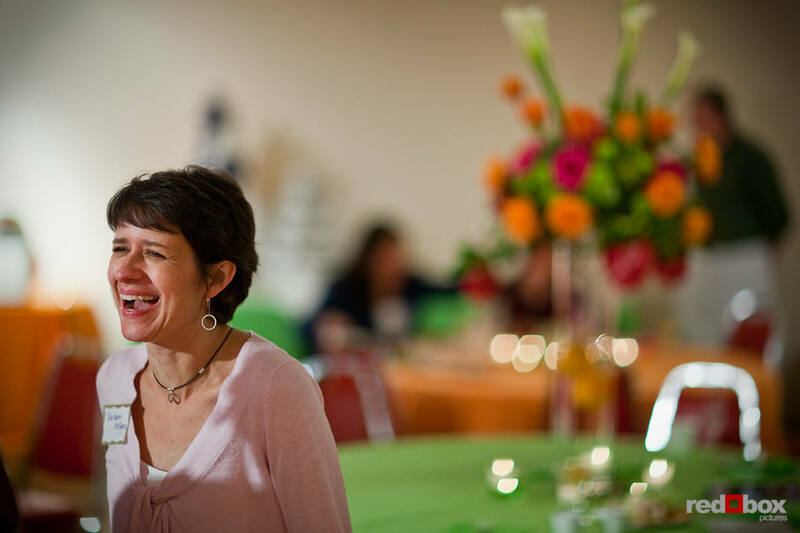 Lynn Haven of Intimate Affair Catering and others chat at the Seattle Scottish Rite Masonic Center. 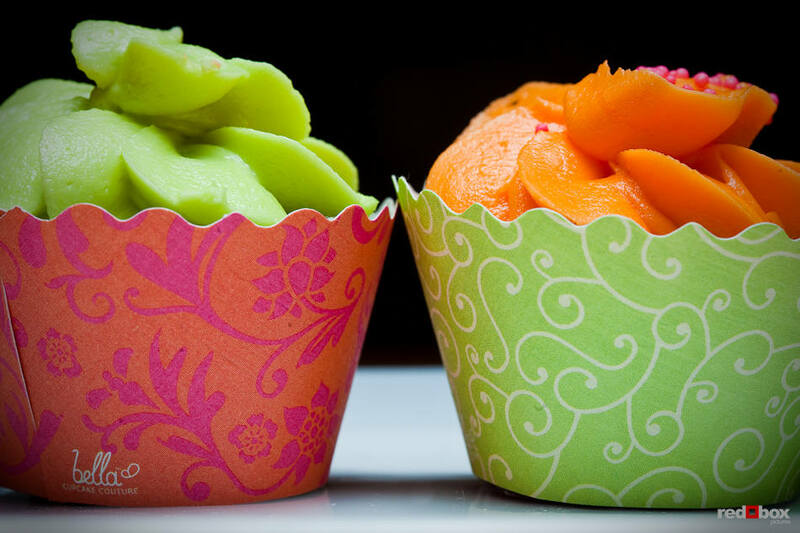 Cupcakes by Sugar Rush Baking Company, with sleeves by Bella Cupcake Couture. 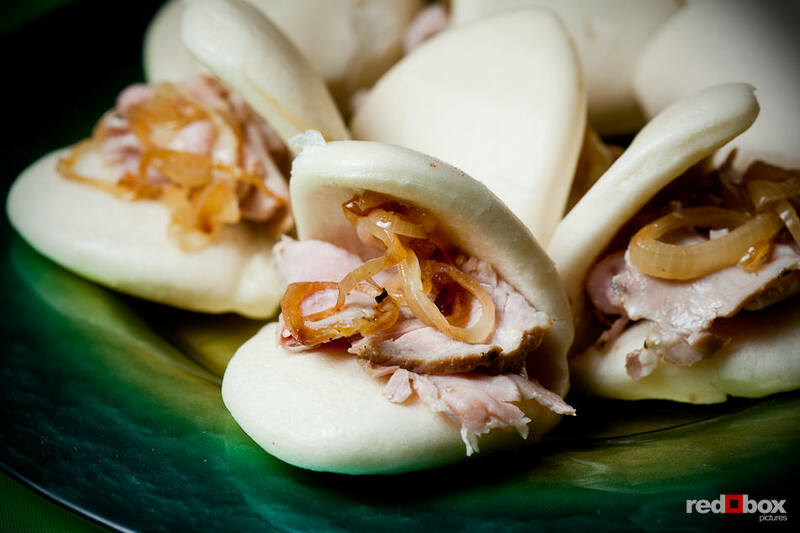 Some of the wonder bites offered by The Upper Crust Catering. 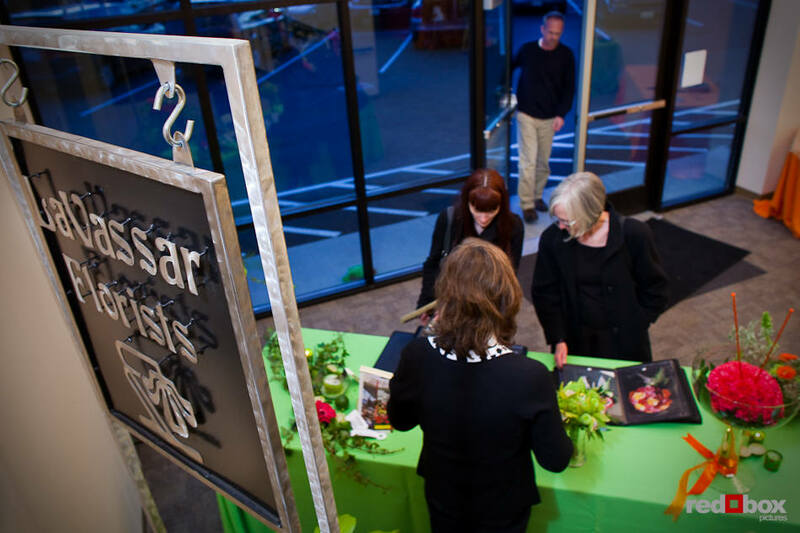 Floral arrangements by Esprit de Fleur. 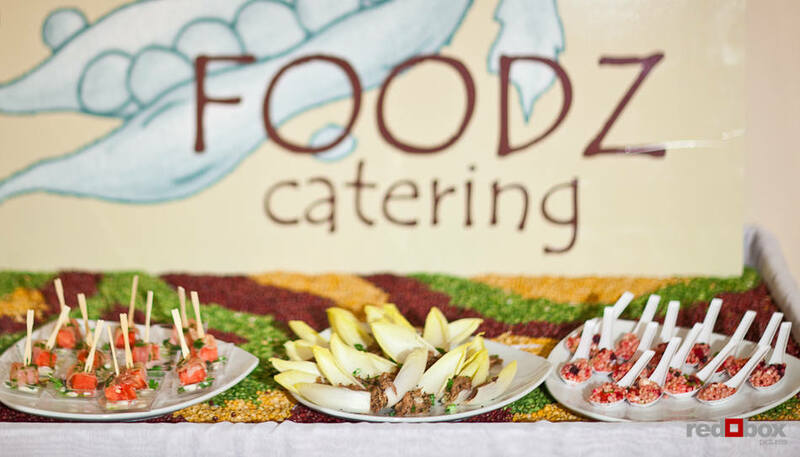 Some of the delicious food offerings by Foodz Catering. 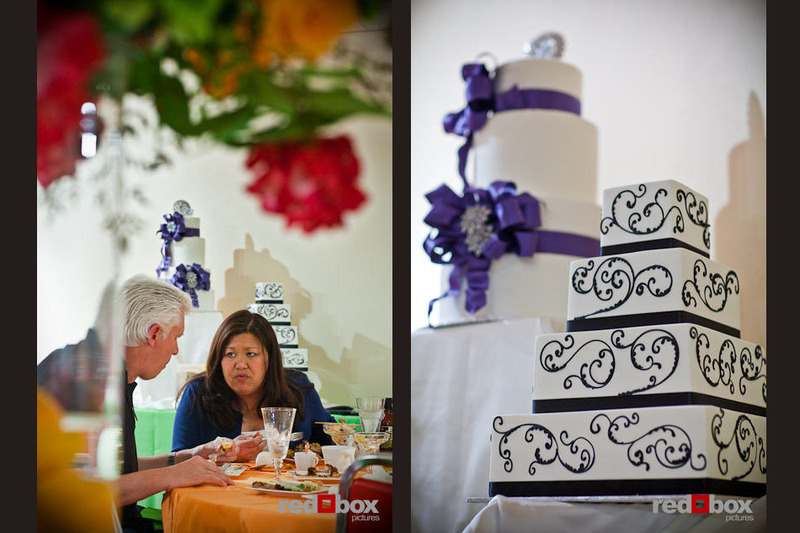 Brides and vendors gathered as Creme de la Creme displayed some of their wedding cakes. 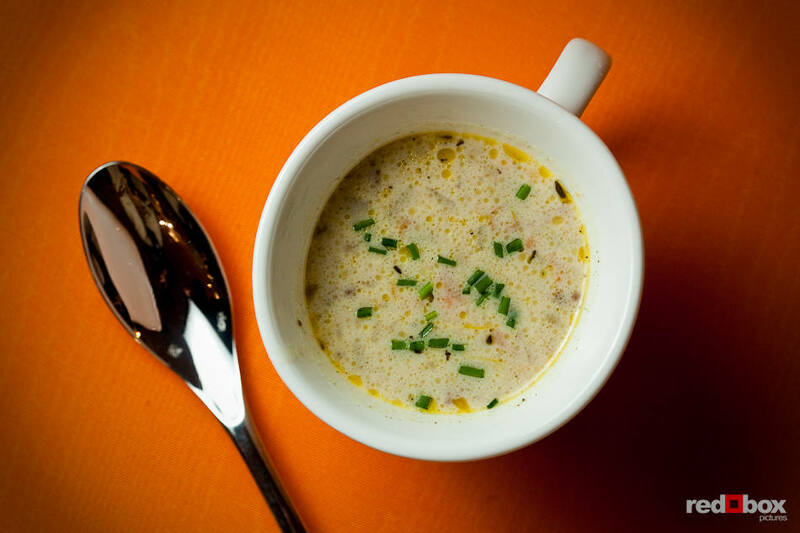 Award-winning clam chowder by Seattle Catering. 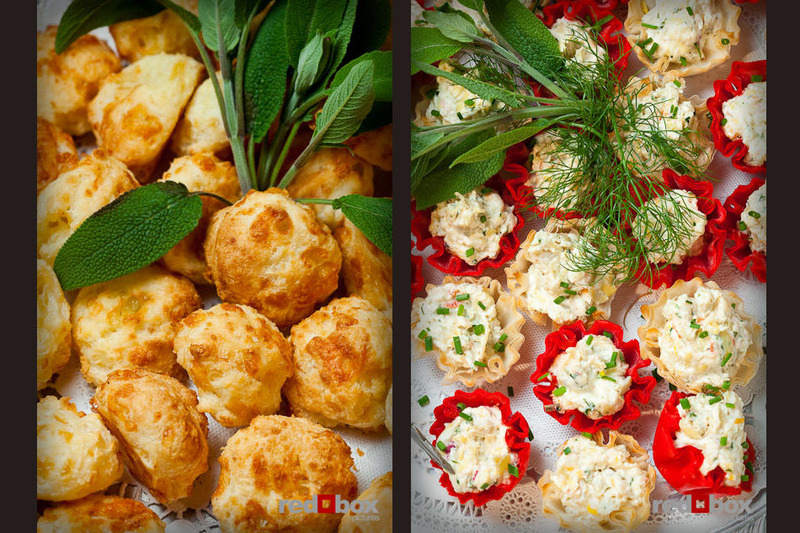 Delicious hors d'oeuvres by Pyramid Catering. 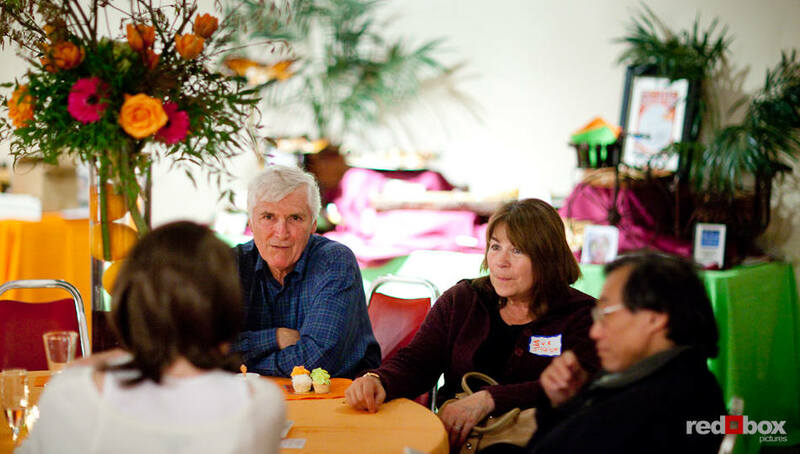 Guests talk during the open house. 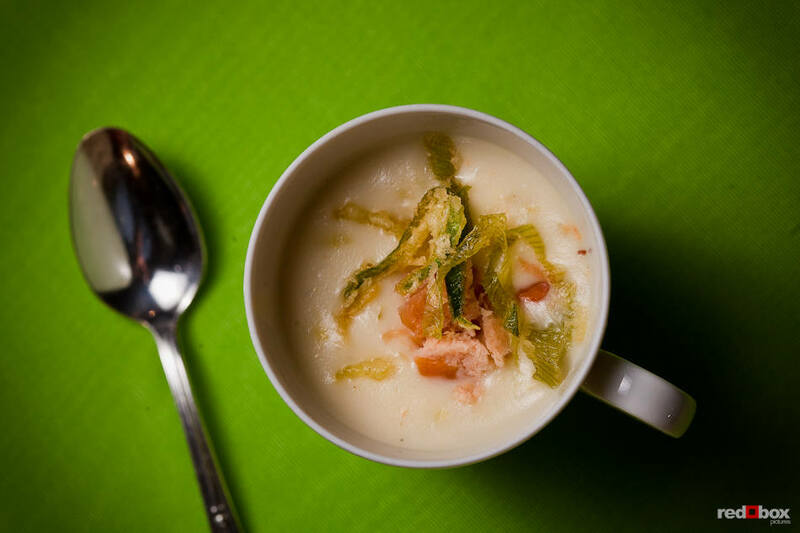 Potato Leek Soup topped with fried leeks and smoked salmon by A Grand Affaire Catering. Guest visit during the open house. 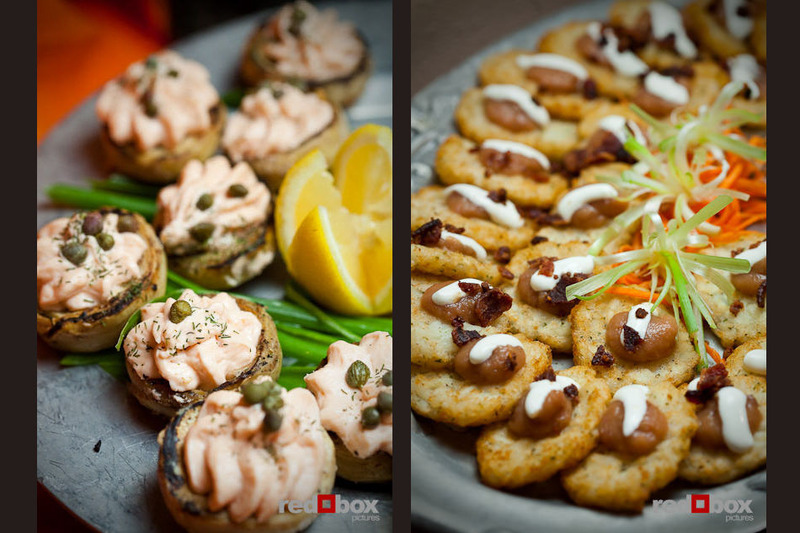 Hors d'oeuvres by Amato Catering. 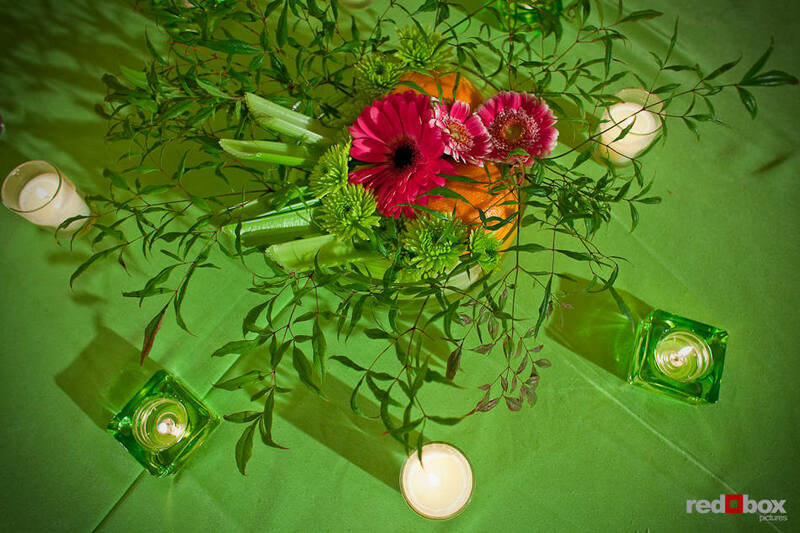 Floral arrangements by Esprit de Fleur and hors d'oeuvres by Elegant Gourmet Catering. 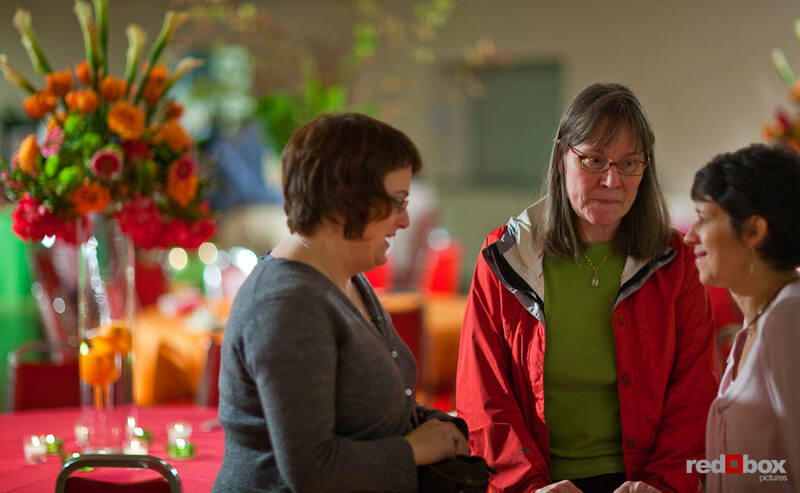 Vendors chat during the open house. 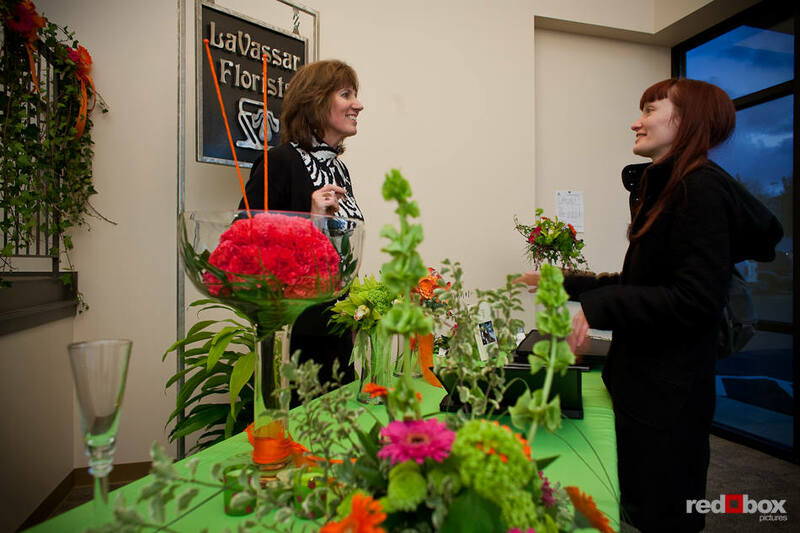 LaVassar Florists presented their designs. 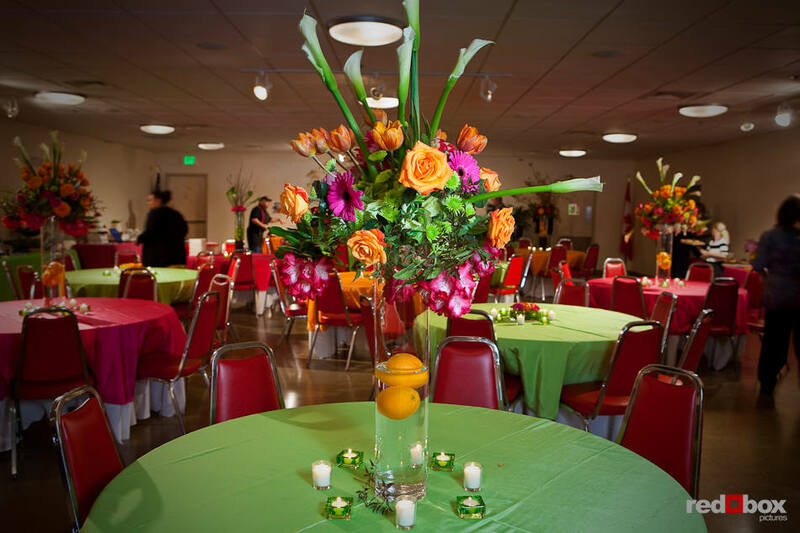 Floral arrangements by Esprit de Fleur brighten the room. 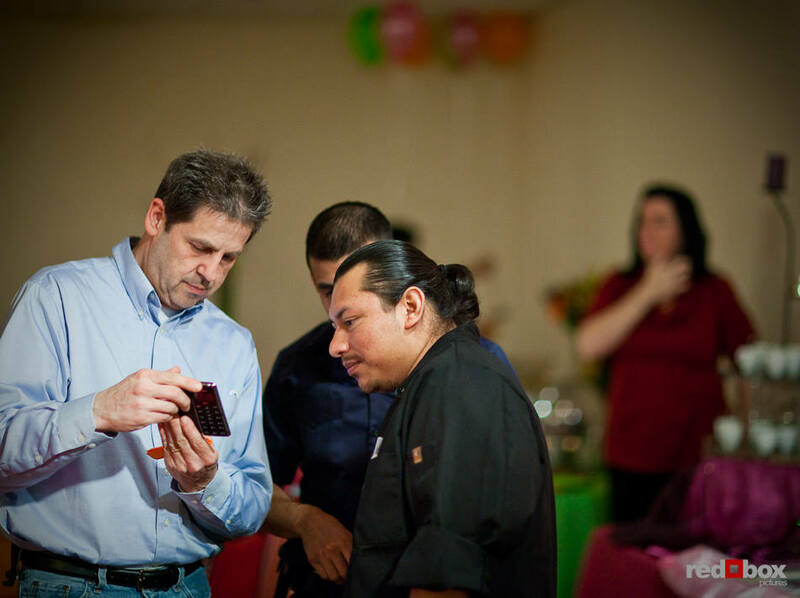 James Royal of Illustrations in Ice shows potential clients photos of his ice carvings on his phone at the open house at Seattle Scottish Rite Masonic Center. 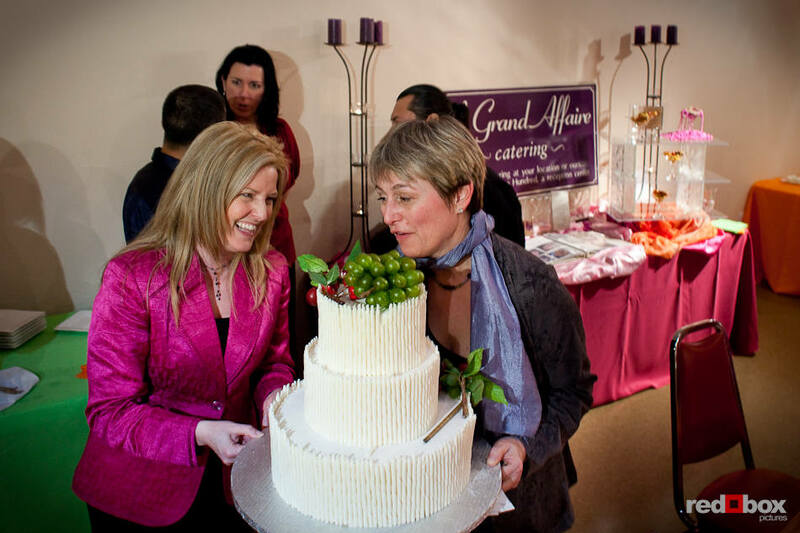 Lisa of Morfey's Cakes (right) gets help from Monica Newby of A Grand Affaire Catering as she carries in a wedding cake. 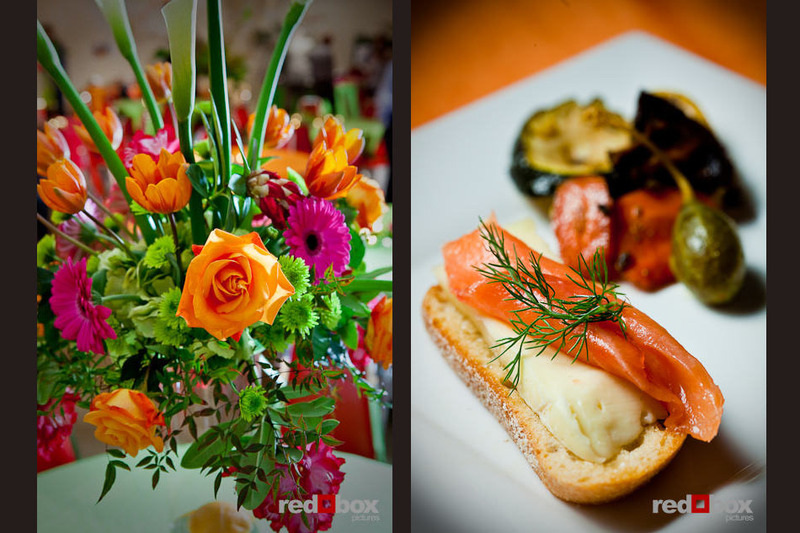 Hors d"oeuvres by Seattle Catering. This entry was posted on Sunday, April 11th, 2010 at 3:30 am. 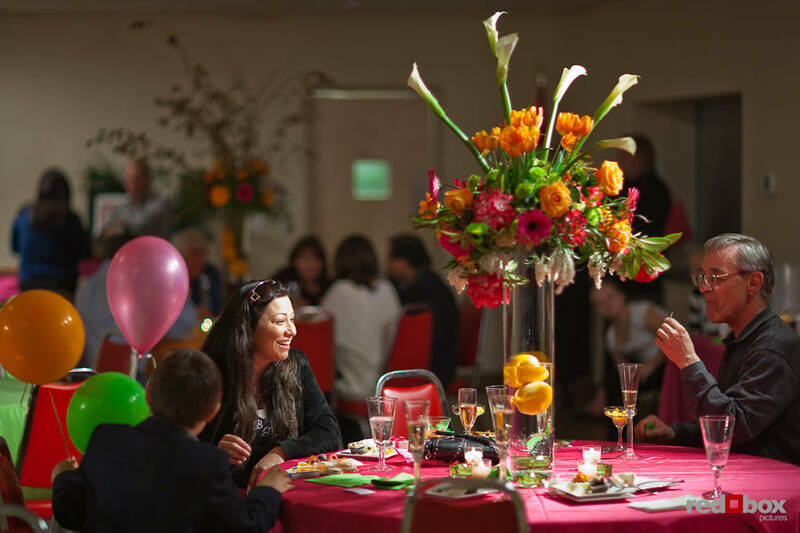 It is filed under FOOD, NEWS + BUSINESS and tagged with caterers, Seattle Scottish Rite Masonic Center, wedding resources, wedding vendors. You can follow any responses to this entry through the RSS 2.0 feed. You guys are amazing!! Beautifully captured moments. I always enjoy being a part of events that you’re at. 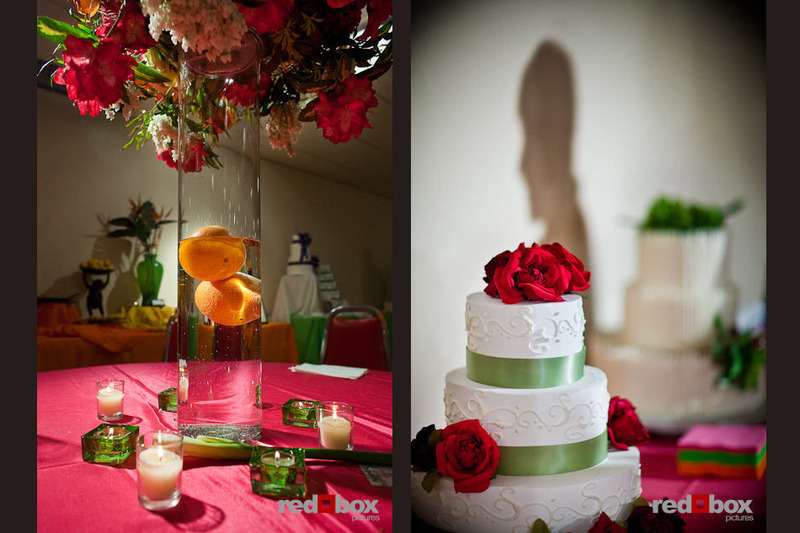 We shared the cupcake photos on our blog too http://bellacupcakecouture.blogspot.com/2010/04/style-your-wedding-cake-with-cupcakes.html.